If we opened our Bibles and searched through their many pages we would not find a straightforward description of what we celebrate today; the Scriptures do not give us an account of how the Mother of God was taken up body and soul into heaven.. What we would find instead are scattered clues, glimpses, and prophecies about the Assumption; clues, glimpses, and prophecies which have lead the Church to affirm that at the end of her earthly life Mary was assumed into heaven (and so was preserved from the decay of the tomb) to be with her Son, Our Lord Jesus Christ, and to be crowned a Queen of all creation. But it is not all plain sailing. Even though the Assumption has been celebrated by since the 4th or 5th century, it has caused many debates among Christians; and that, which should be the cause of rejoicing for each and every Christian, has often ended up being as a serious bone of contention. Having said this, I don’t think that either Mary in herself, or the belief that she was taken up to heaven are the true reasons for debates and divisions. She who is mother of all believers cannot be the source of quarrelling among her children. Rather, I think that opposition the Assumption of Mary springs from two deeply-engrained misunderstandings many Christians have about faith. The first misunderstanding is essentially a corruption of the traditional belief that the Scriptures contain everything that is necessary to Salvation. It says that Christians should sign up, as it were, only to those matters of faith that are readily and explicitly proposed in the Bible – those things which are plainly laid out in the Scriptures and nothing else. The Assumption of Mary is not in any book, so it cannot possibly be a matter of faith – indeed, for a few Christians, it cannot possibly be real, period. Yet, we believe that the Lord Jesus promised to his Church that the Holy Spirit would lead us in understanding all truth (Cf. John 16:13) – “all truth”, even those things which the Scriptures reveal only through clues, glimpses, and prophecies; those things and that need some prayerful reasoning to be understood. So it is with the Assumption. It is the Holy Spirit who speaks to interpret the Scriptures. It is him who leads believers in piecing together clues, glimpses, and prophecies to understand the mystery… For example, let us look at today’s readings. 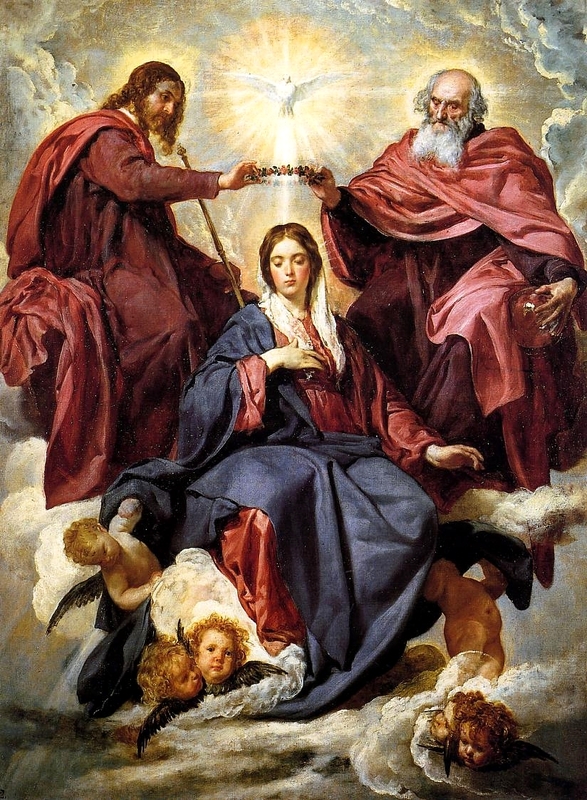 It is the Holy Spirit who tells us that, when Psalm 45 describes the coronation procession of an Old Testament princess, it is really pointing forward to the entrance of Mary into heaven and to her coronation as Queen of all creation. It is the Holy Spirit who tells us that in our first reading the ‘ark of the covenant’ found in the heavenly sanctuary (Rev/Ap. 11:19), and the ‘woman clothed with the Sun’ (Rev/Ap. 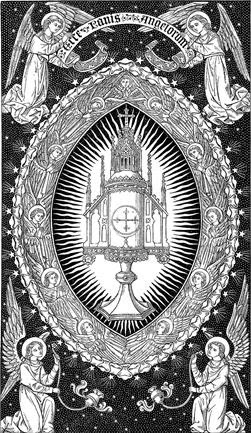 12:1) are both images of the true ark of the New Covenant, the Mother of God in heavenly glory. And, again, it is the Holy Spirit who tells us that Mary’s words, ‘from this day forward all generations will call me blessed’ (Cf. Luke 1:48), are completely fulfilled the moment she set foot in heaven, the true home of the blessed. ‘By faith Enoch was taken up so that he should not see death, and “he was found no more because God had taken him’ (Heb.11:5). Later on, in the second book of Kings, it is the turn of the great prophet Elijah to be assumed into heaven in style; he rides upwards towards paradise carried on a chariot of fire (Cf. 2Kings 2:11) provided by God. Finally, Jesus ascends to heaven after his Resurrection. He is not carried there; he goes to the Father out of his own divine power, taking with him our human nature and opening the way for all believers to be with him at the heart of God (Cf. Luke 24:50-53). Let us consider for a moment these examples in which human beings have ascended or were taken up to heaven before Mary. Enoch, Elijah, the Lord Jesus. Heaven is starting to look like an old boys club. I jest, I know, but these examples illustrate very well a male-dominated misunderstanding whereby a few Christians believe that God acts through, exalts, and rewards only men. Belief in the Assumption of Our Lady shatters this misinterpretation. The Assumption shows us that God acts through, exalts, and rewards everyone whom he freely chooses – regardless of whom they are. 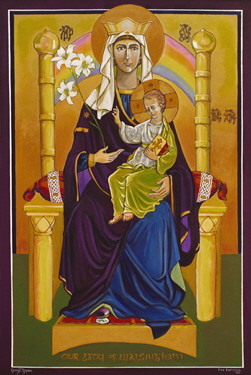 Mary cooperated with God’s new creation like no other human before her (‘let it be so’ she said to the Angel Luke 1:38); she brought God’s Son into the world; she emotionally suffered with him on Calvary; she stood by him even as her soul was pierced by a sword; and she gathered the disciples around her in prayerful anticipation of Pentecost. It is only right that a woman who, through the grace of God, participated so closely in the work of redemption, should be the first to experience the fruits of redemption – the life of heaven. So, if we let go of our misconceptions in order to embrace true faith, what would the Assumption of Our Lady have to say to us? It is a token of our future. It is a sign of hope for all who believe is Christ, a cause of joy for all who struggle through life, a sign of consolation when we encounter sorrows. Our blessed mother is in heaven, free from the corruption of the grave, and from there she helps us with her prayers, guides us with her love, and cheer us on as we too journey home. grant us all to see his face. Amen.